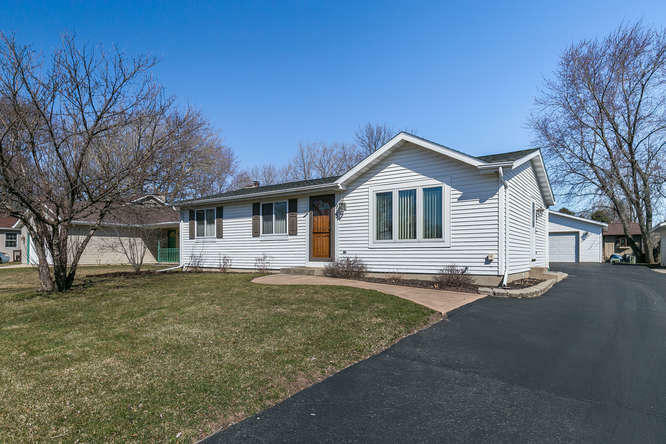 Sitting among mature trees is this Pleasant Prairie 3 bedroom 2 full bath ranch home. Vaulted ceilings in the living allow for an open feel that continue into the the kitchen with dining area. Access the large patio from the kitchen which overlooks fenced in yard with 2.5 car garage and storage shed. 3 good sized bedrooms round out the main level with it's full bathroom with built in vanity table. A wonderful rec room can be found in the basement with a wet bar, full bathroom and additional unfinished area perfect for work out room or additional storage.